ORLANDO, Fla. — Orlando City SC announced on Friday that the club will receive midfielder Mikey Lopez on loan from Major League Soccer affiliate, Sporting Kansas City. Selected in the first round of the 2013 MLS SuperDraft out of North Carolina as a Generation Adidas signing, Lopez enters his second professional season in 2014. 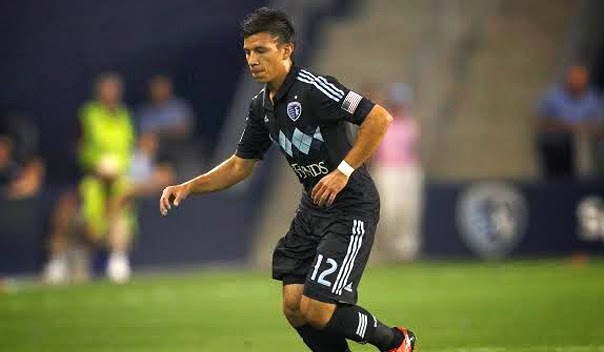 The 21-year-old midfielder made his professional debut for Sporting Kansas City in the 2013 Lamar Hunt U.S. Open Cup and his rookie season was highlighted by his participation in the 2013 FIFA Under-20 World Cup. He appeared in all three matches for the U.S. in the tournament after helping to lead the United States to a runner-up finish at the U-20 CONCACAF Championship. The loan from Sporting marks the second year in which both clubs have held this agreement. Last year, the relationship proved to be fruitful for both sides as Dom Dwyer scored a USL PRO league record 19 goals in 14 games. Upon returning back to Sporting Kansas City, Dwyer went on to the score the game-winning goal to put SKC through to the MLS Cup Final. Midfielder Christian Duke and Goalkeeper Jon Kempin, who were also loaned to Orlando last year, will return back to USL PRO as the MLS side has also loaned them to newly added USL club OKC Energy FC for their inaugural season. Orlando City and OKC are set to play each other twice this season, with the first fixture taking place in Oklahoma on April 26. Shortly afterwards, the Lions will host the Energy on May 4 at the ESPN Wide World of Sports Complex. Throughout the 2014 campaign, Sporting Kansas City will have the option to recall any of the team’s three players.